Wines are live products, which change from year to year and require constant study. Understanding and tasting them is not always that simple. Visiting the places where they originate, seeing the processing method with one’s own eyes and tasting the wines, along with those who actually produced them, is the best way to fully get to know a label. The visit begins with a walk among the vineyards and orchards of Guarene, during which you’ll get to know these plants: their vegetative stages, the work carried and the work yet to be done. 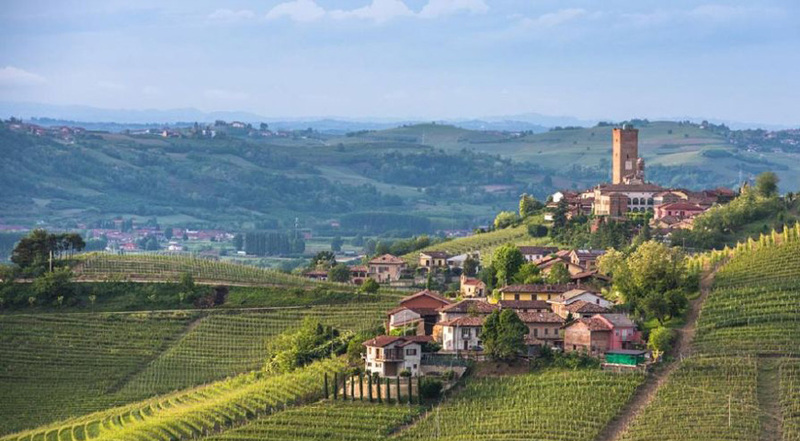 Depending on the time of year, you can watch the work in progress in the fields: we’ll explain you our choices, and how they differ us from the traditional Langhe and Roero wineries. Our land is located halfway up the Guarene hill, under the imposing castle, where one can see a particular geological formation called Paradis der Some. This “donkey’s paradise’ is a cleft that cuts the entire height of the hill. The tour continues with a visit to the company’s premises: storage rooms, drying rooms and equipment areas. Ours is a company with mixed features: in addition to the production of wines, we cultivate cereals and fruits, specifically wheat, barley, corn, apricots, peaches, plums, hazelnuts, apples and of course the Madernassa pear with which we produce the Sidré, the first and only pear cider. The wine making area is mainly concentrated in the wLa Morra inery. We’ll explain how the wine is produced, all the stages of the wine-making process and the secrets of wine-making techniques enclosed in each label. It’s just through tasting that you close the circle of understanding of our wines. Alberto is usually the one in charge of conducting the visit and tastings. He’ll tell the stories and talk about the interesting facts and anecdotes of each bottle, while teaching you to recognize the aromas and the flavors of each wine. Our tastings always include a glass of Sidrè, our cider made with Madernassa pears, and a taste of other farm products such as the Madernassa cooked pear, hazelnuts and fresh fruit, as well as other local specialties such as salamis, cold cuts, cheeses, focaccia bread and bread-sticks. Complete, which costs 10,00€ per person, and includes 6 company wines. Langhe Nebbiolo DOC Bricot, a ruby-red wine with a great aging potential. This full-bodied wine, with its dry and velvety flavor, goes well with stuffed pasta, roasts, boiled meats and cheeses. Barbera d’Alba DOC, a purple ruby-red wine of farmer’s origin. As a result of its characteristics it is increasingly being considered a valuable wine. Langhe Dolcetto DOC I Dossi, a classic red from Piedmont made from Dolcetto grapes, with a fresh and round taste. Roero Arneis DOCG, a white wine typical of the Roero region. A fresh and dry wine, with the characteristic bitter ending; it pairs well with white meats, fish, appetizers and entrees in general. Lumas, a particular red wine, made with Pelaverga grapes that give it a characteristic note of white pepper. Check out the prices reserved for our guests. During the tastings you’ll get a chance to taste our cider made from pears; a fizzy, dry and low alcohol content drink. The low alcohol content and marked effervescence make Maderè a product that is highly appreciated by the female palate. Ideal as an aperitif, it is also suitable for accompanying appetizers and simple dishes made with seafood, white meats or vegetables. Perfect as a drink for a night at the club or lounge bar, and it also goes well with pizza. I went to Agricultural School and right away became passionate with regards to viticulture; as a result I decided to try my hand in the winemaking process. I wanted to follow the full path from the vineyard to the cellar, and so, just for fun, I leaped into this adventure. I always liked working in the vineyard, especially during the harvest period when in town, thanks to the numerous wineries, one can breathe the scent of must. Now I can pursue my passion and follow the winemaking process in the winery, turning grapes into wine. This perfectly preserved eighteenth-century building, houses the Guarene Castle hotel of the Relais & Chateaux chain. 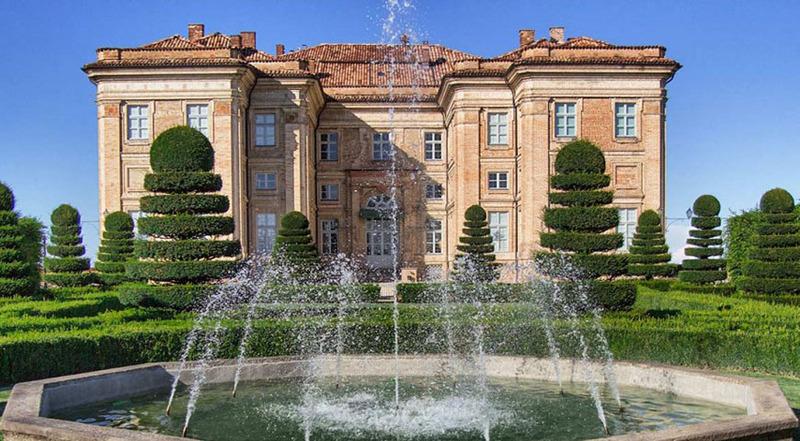 The reception rooms and garden are open to visiting tourists by reservation only. This city, with its ancient history, still preserves the passage of various peoples that inhabited it: from the Ligurians to the Romans. 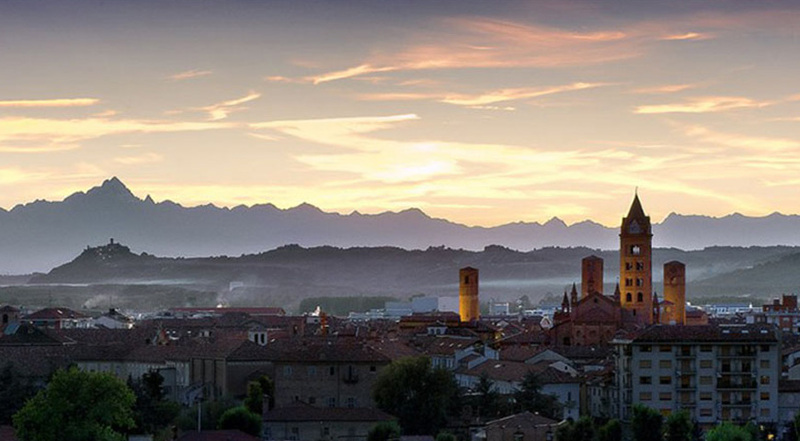 Must sees are the San Lorenzo cathedral, a visit to Underground Alba, Vinum and the Truffle Fair. 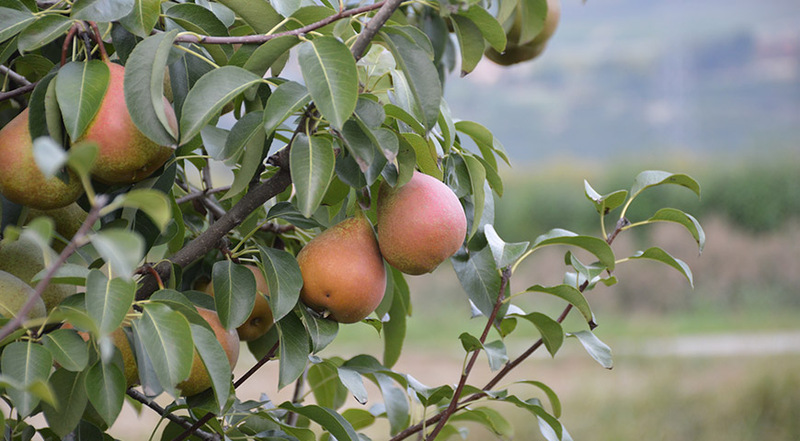 This is the tree that gave rise to the Madernassa pears variety, a random pollination fruit. It is located in an area that is not easily accessible, so we are more than happy to accompany you to see it. The town, located on a cliff along the Tanaro river, is distinguished by a massive medieval tower which is accessible for a fee. At the top you’ll find a magnificent 360° panoramic view, to the point where one can see Monte Bianco. 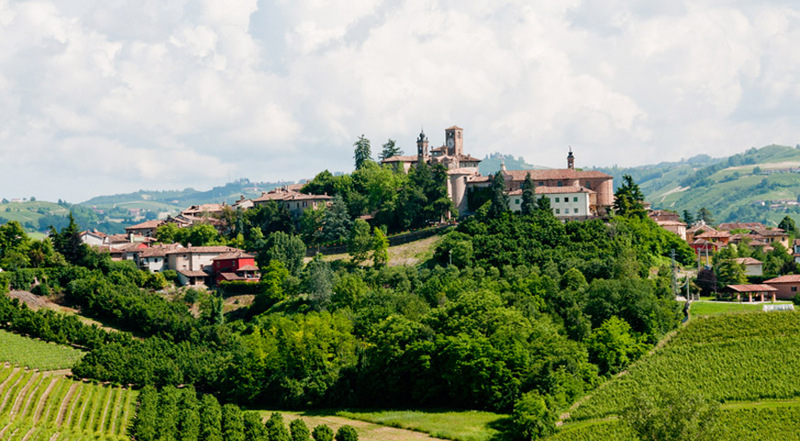 Neive is a splendid village located in West Langa just a few kilometers from Barbaresco, and forms part of the most beautiful villages in Italy circuit. It is divided into two parts: the oldest is located on the hill and the modern area is found in the valley.le. 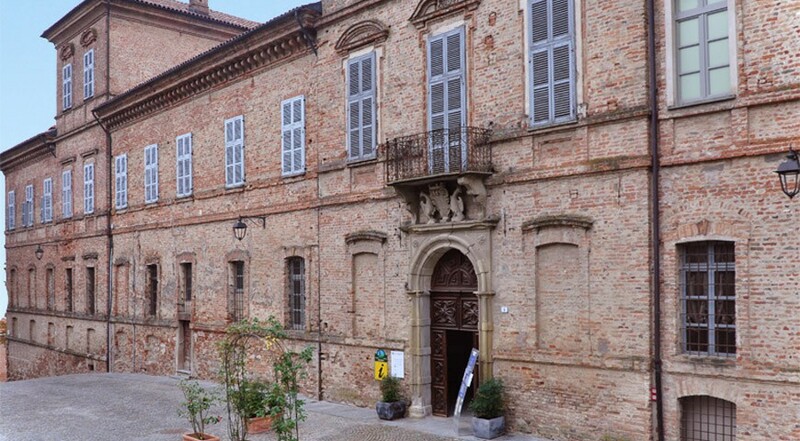 The summer home of the Alfieri family is a complex that still preserves its original frescoes and plaster-work. Inside, it hosts two modern museums that will allow you to discover the hilly landscape and the traditional working of gypsum. How large can the visiting groups be? Of course, we have ample parking, even for buses. Italian, English and French. Other languages are available upon reservation. Yes, your pets are more than welcome. We accept all credit cards, except American Express. Can the wine be delivered to my home? Certainly, both in bottles and the Bag in Box bulk wine. Every day from 9 a.m. to 6 p.m., via reservation.